PCB design software can be costly for hobbyist and individual electronics designers, so free PCB design software is valued and popular. With the ever increasing of competition for software in the PCB industry, to choose a right PCB design software is time-consuming for hobbyists, individual electronics designers, or even experts. 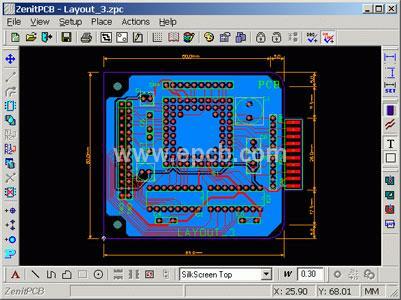 Often, the paid version of the PCB design software can provide better support like superior functionality. But if you insist on using a free PCB design software to start your project, there are a few points worth considering. Nowadays, you can safely expect a comprehensive library of easy-to-design components and footprints with paid PCB design software. It is time wasting to construct your PCB footprints as you should focus on more important design works. PCB routing can be really time-consuming, even with the advanced intuitive functionality that paid version of PCB software offered. It is no need for you to spend lots of time to switch the different levels of PCB board through complicated sequence, or read thick user manual just to get the Gerber file creation rights. The reality is that all software have bugs no matter how many times programmers had tested before introducing it. PCB design software is no exception either. When you use free PCB design software, be sure to check out how efficient is the support offered, or if there’s even any.